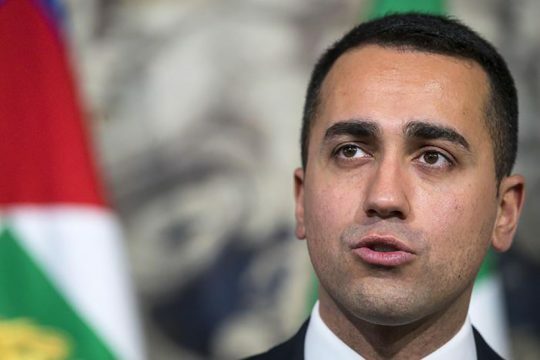 The Five Star Movement's Luigi Di Maio will call the shots along with the Northern League's Matteo Salvini in a new and highly political Italian government. olicymakers often try to hide their work. Perhaps still under the spell of Ronald Reagan’s dictum that “the most terrifying words in the English language are: ‘I’m from the government, and I’m here to help'” leaders have tried to mask government action, especially in the arena of economics. Where once government help came in the form of outright subsidies, they now take the shape of tax credits that reduce fiscal obligations. President Barack Obama’s signature international economics and foreign policy initiative, the Trans-Pacific Partnership (TPP), despite its bold scope — intended to strengthen U.S. presence in Asia and increase bonds with allies against China —was nonetheless light on government. Officials would spend painstaking energy on negotiation but then step aside and let the private sector work. President Donald Trump scrapped Obama’s TPP plan. He has also abandoned the aversion to the government showing its hand, a move that may leave a positive legacy for future administrations. The ongoing Italian drama is a good example of how government vanishing acts can backfire. During the March elections, Italians overwhelmingly chose two anti-establishment parties characterized by their Euroscepticism, the Five Star Movement and the Northern League. Over the years, the EU guided and prodded Italy. Italian politicians opportunistically blamed this guiding and prodding for unpopular decisions, particularly when austerity came into play. Many Italians saw the installation of former Prime Minister Mario Monti in 2011, an economist picked to lead Italy at the high-water mark of the European crisis and waves of market panic, as confirmation that the hand of elected government no longer mattered. Replacing incumbent Silvio Berlusconi with Monti—substituting an elected politician with a technocrat—seemed like a way of eliminating a government seen as messy and inconsistent. Instead, as with the TPP in the U.S., all that was needed was strong political decision-making and guidance at the outset, after which the markets could do their part. In Italy, political actions as articulated and desired by the will of the voters seemed irrelevant before abstract procedural principles. The events since Monti’s premiership have only compounded this sense of disempowerment. After the March election, the League and the Five Star Movement forged an alliance, only to have President Sergio Mattarella reject their choice of Paolo Savona, a strong Eurosceptic long opposed to the euro, as finance minister. Mattarella objected to the nomination of Savona as a way of introducing as momentous a policy decision. He took a stance on the euro by rejecting a cabinet appointment instead of keeping the focus on the results of the election. The procedural soundness of the decision only exacerbated the problem. Political actions as articulated and desired by the will of the voters yet again seemed irrelevant before abstract procedural principles. Underscoring the point, when the potential Five Star Movement-League government fell apart (only to be glued back together days later), commentators switched their focus not to disgruntled voters but plunging markets. The ongoing Italian dilemma confirm what Harvard’s Yascha Mounck has called “undemocratic liberalism” or “rights without democracy.” In countries characterized by “undemocratic liberalism,” Mounck argues, major areas of policy are no longer open to debate. “Macroeconomic decisions,” he writes, “are made by independent central banks. 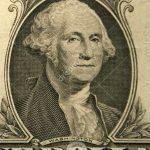 Trade policy is enshrined in international agreements that result from secretive negotiations conducted within remote institutions.” He adds that even when governments can control policy, as on taxation — or in Italy’s case decisions about the euro — they are hemmed in by outside forces that limit any maneuverability. The rise of undemocratic liberalism has precedents. Critics have regularly called out attempts to eliminate government from policymaking and efforts to de-politicize economic issues. They raged against Reagan’s contemporary, British Prime Minister Margaret Thatcher, who famously said of her free market program “there is no alternative.” The comment enraged critics, who railed against the notion that some policy was pre-decided and not open to discussion and debate. They argued that depoliticization allowed leaders to hide the true ideological implications of their decisions by shutting down conversation or retreating behind the shield of technical considerations — either the central banks and international agreements mentioned by Mounck or “the markets” that continually hem in Italian policymaking. The challenge to this approach to governance, surprisingly, has come from the right. Under Trump, who is obsessed with deal-making, all is open to debate. Because of this approach, rather than trying to hide the role of the government, he has elevated the United States to the status of the world’s greatest haggler. The recent saga over Chinese telecommunication company ZTE is a testament to this new approach. In early 2018, the U.S. government seemed to sign ZTE’s death sentence by cutting it off from imports with key U.S. parts-makers after the Chinese company repeatedly violated sanctions. In a series of tweets, Trump granted ZTE a stay. Trump appears to have lifted the penalties in hopes of reaching a broader trade deal with Beijing. While with TPP, government just wrote the rules, under Trump, it plays in the game itself. While it’s unclear whether China and the United States can reach a deal, Trump showed how much one can do when unafraid of showing the full extent of government power. Future U.S. leaders will welcome this transition to a broader set of opportunities for governance. Mark Bassani is the pen name of a political and economic writer based in Washington, D.C.